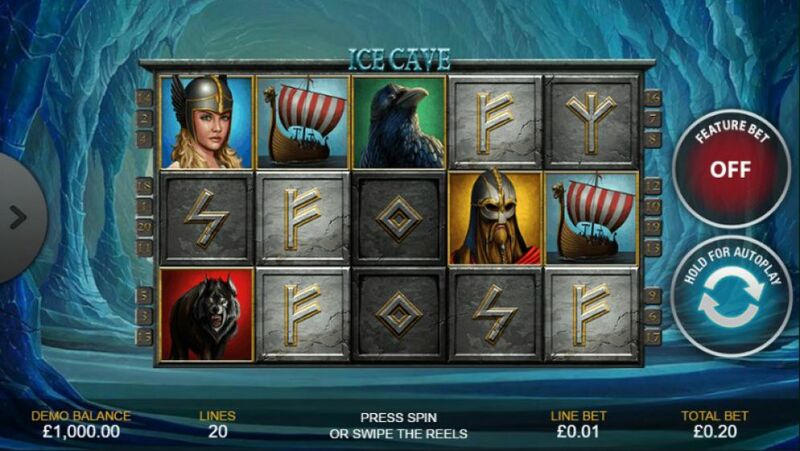 Playtech has a thrilling surprise in store for slots players in the form of its Norse-inspired game called Ice Cave slot. This game is loaded with familiar characters and objects from Norse mythology and it is great fun to play thanks to its slick gameplay and attractive prizes. Its animation is absolutely superb and so are the sound effects (although the sounds can easily be switched off in case players prefer to play in silence). The game also has a few bonus features that help make wins bigger and easier. Unlike many of the newer slot games, this isn’t a complicated game at all although there is plenty of information available about the terms of the game. Given that Playtech is a very well-established gaming company, this brand new game is easily available at a number of online casinos catering to customers all over the world. It’s worth noting that the game can be tried out at a number of mobile sites in addition to desktops, which will make it easy for players to gamble when they are on the move. Ice Cave slot game has 5 reels and 20 pay lines, set against a background of the frozen wastes of the north. Wagers start from as little as 20p and go all the way up to £2,000. This means that the game will be as suitable for novice players as it will be for experienced ones, although it’s clear that high rollers will find the game particularly appealing thanks to its high upper wager limit. The symbols featured in the game include Fenrir the wolf, the Raven, Jarl (son of Norse god Rig), Valkyrie, and a Viking longboat. The symbol of the Viking warrior is the game’s most valuable one. Players can earn 250 coins when five of these symbols can land on a pay line. The Valkyrie and Fenrir symbols are next in value at 175 coins each for five on a pay line. The raven and the Longboat symbols deliver 75 symbols each. The game has all the usual buttons that players can use to customise it. These include Autoplay and Turbo Speed. The bonus features of the Ice Cave slot game go a long way to making it really interesting. It has two different Wild symbols, something that not many slot games can boast of. These include sticky Ice Wilds in addition to Hammer Wilds which come with a 3x multiplier. Ice Wilds on the 3rd and 4th reels can freeze the reels in question. They can do this until the Hammer Wild appears to unfreeze them. The Hammer Wild lands on the 2nd reel and can substitute for any of the other symbols to complete winning combinations. The Ice Cave slot game also has a Feature Bet. It makes the bets 50% more costly. The minimum wager starts from 20p to 30p. But permits the Ice Wilds to land on the 5th reel. Any wins that happen thanks to this feature have a 5x multiplier. Unfortunately though the Feature Bet increases the chances of a win. But it does nothing to increase the number of coins won. 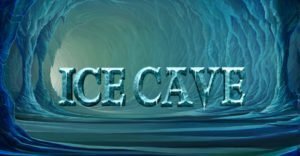 Ice Cave is a medium to high variance slot game, and it has all features that make slot games fascinating. It goes without saying that players need to get hold of as many Hammer and Ice wilds. If they manage to do it, then they stand a chance of winning plenty of money. All in all, it has the different features that have made Playtech games popular with gamers from different parts of the world. This slot game is clearly on its way to becoming one of the most popular ones in the industry.